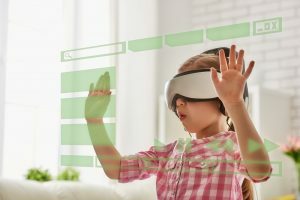 Some schools have been teaching primary computing since its introduction into the National Curriculum since 2014 and some have yet to really get going. Either way, the very nature of Computing is that things change rapidly and it’s time to start doing something new. One of the things I like best about Computing is that you can’t churn out the same old lessons year on year. Technology’s rapid development demands we pay attention to change; that we learn; that we adapt and, most importantly, that we create. We owe it to our pupils to keep abreast of pedagogical and technological change. I’ve put together a selection of the fantastic tools and technologies that I use to teach Computing, some of which you’ll know but lots of which I hope are new and you’ll give a go. 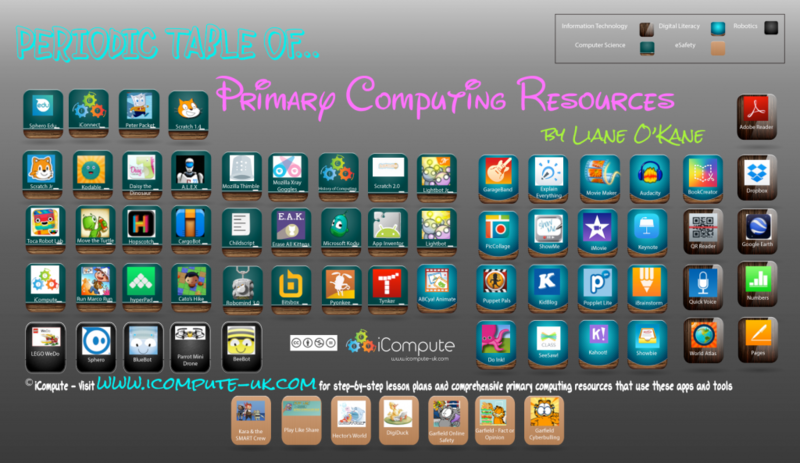 Adapted from a previous post here, I’ve turned it into a periodic table of primary computing resources. I keep banging on about this but Computing is more than just programming and lots of the resources listed here are for you to use with your pupils to teach the other strands of the curriculum as well as to use with cross curricular approaches. There are many, many, more and I’d love to hear how you have been getting on teaching computing in your classrooms as well as hearing about the resources you’ve been using. Full, progressive step-by-step, lesson plans and all associated lesson resources and worksheets are available for the tools and resources included in the table. Visit our website for more information.